Like the strife- filled period in English history known as the War of Roses, it was an extremely high period of regional rivalry. To phrase the intense period of warfare lightly, it was described as "part of an era of political turbulence and intense social and cultural change." Compared to the chaotic nature of the Northern China, where it balkanized into a patchwork of rival barbarian polities, eventually united into the mighty Northern Wei, then split into two successor Kingdoms, for the entirety of the South's history, it remained as a single unified polity. 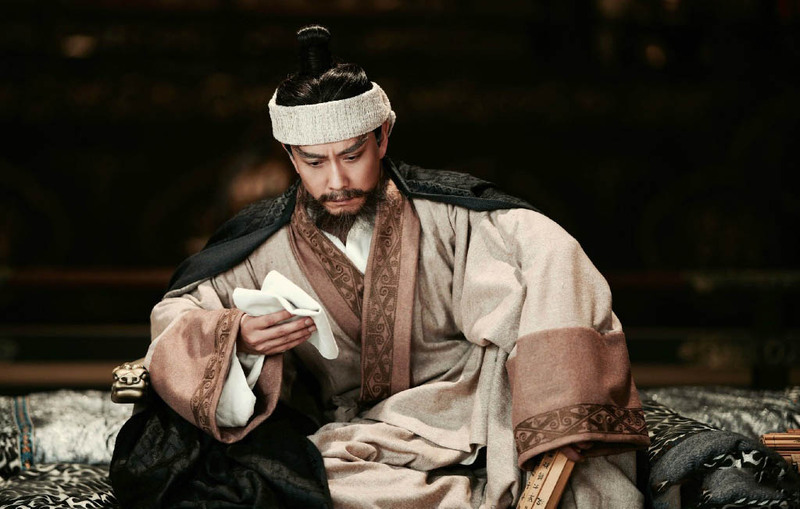 Although there were 4 families, 4 dynasties that displaced each other in intrigue and betrayal, (5 including that of the preceding Jin dynasty) for the most part the Kingdom- the bureaucracy, the army, and the institutions remained the same. Thus it should be conceptualized as essentially the same ethnically Han kingdom with the same cultural traditions, where from time to time the uppermost 1% of the ruling family was replaced and everyone learned a new dynastic name to call themselves. The names changed, the surface level elements changed, but in order to understand the south, its paramount to study the consistent soul and memory of the south. 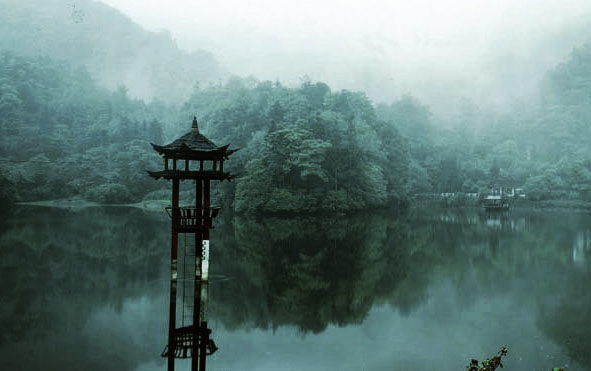 For over 200 years the last remnants of old China stood defiant against the northern dynasties. But to properly began the story of the Southern Dynasties, we would have to rewind earlier before there was a division of a "north" and a "south," to see how the southerners come to identity themselves: When China was one. After all, if you cannot imagine a world that is every part of you, that defines your every identity, your form and your pains, you probably cannot imagine what loosing all of it meant. 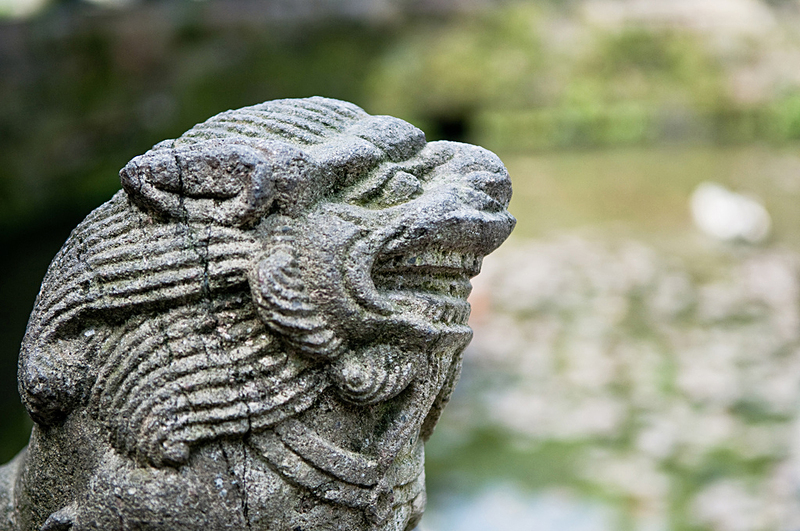 The Jin dynasty, which was founded in 265 by Sima Yan had came as a respite to the brutal chaos that proceeded it. 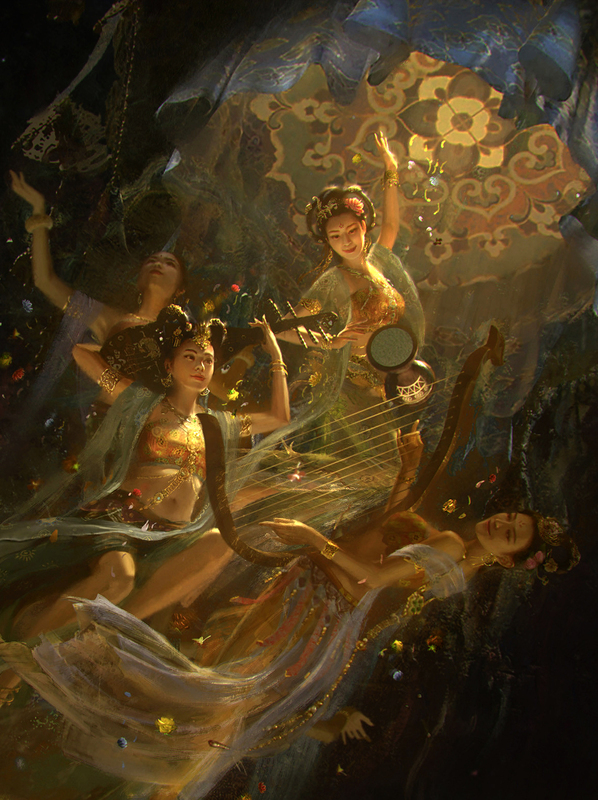 Many in Asia and even in the west are well familiar with the era name of the "Three Kingdoms Period" of China, where the illustrious states of Wei, Shu, Wu vied for supremacy in an extremely violent period of civil war for supremacy. For 60 years, or 100 years if you count that the violence had began long before the Battle of Redcliff, the whole of China was plagued with an endless series of destructive and largely futile battles between the competing powers. It was only when Sima Yan- a subordinate of the Wei dynasty seized power from within Wei and took direct control of northern China that the period drew to an end. Yan would force the last Wei Emperor: Cao Huan to officially abdicate then he would force Shu to surrender and in 280 AD. conquered the whole of Wu, thus reuniting the country after more than a century of death and devastation. 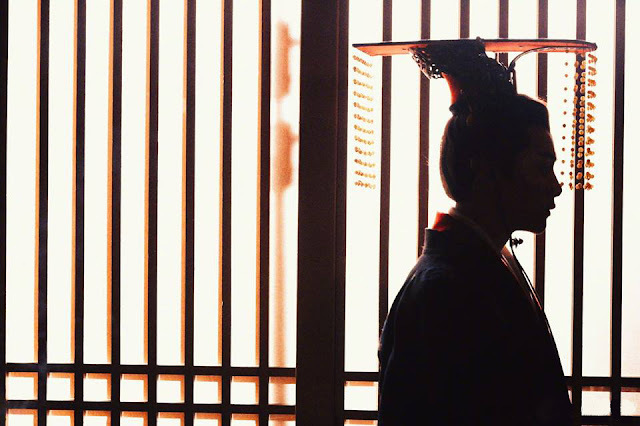 However, whatever peace and prosperity this fortuitous respite would offer would be quickly shattered, just as peace came to the realm with the Jin unification, it went away in a fleeting generation. After only a generation of capable rule, Jin was soon weakened by corruption, political turmoil, and internal conflicts. Sima Yan's son Zhong, posthumously known as Emperor Hui (the "Benevolent Emperor of Jin"), was developmentally disabled. Conflict over his succession in 290 expanded into a new devastating civil war called War of the Eight Princes. Which fundamentally undermined the stability and legitimacy of the empire. And it was during this time that a great conspiracy of barbarian kingdoms broke through the empire's northern boarders and spilled- unchallenged into China proper in a devastating warpath that did not stop until they have uprooted the Jin completely from the heartland of China itself. The end of the old Western Jin meant a new epoch of instability and tumult in China. In this period, "barbarian" rulers primarily of Xianbei, Xiongnu, Di, Qiang and Jie ethnicities set up dynasties in the North all along the Yellow River and engulfed the north in nearly 150 years of ruthless total war against each other. While in the South, the shaky Eastern Jin held onto power for roughly a century before giving way to its four replacements. China in 316 very much resembled the political landscape of the Western Roman Empire in later portion of the 5th century from where massive groups of barbarians beyond the boarder spilled into the realm with little resistance, and then proceeded to carve out their own kingdoms on the site of the old broken empire's ruins. In the face of the great surge of invaders, millions became displaced and fled southward as homeless refugees. It was this period where the division of a largely barbarian ruled "north" and a displaced, refugee "south" was created. One could only imagine the tremendous loss of those escaping from the Central Plains as complete strangers ignorant or hostile to Chinese ways and customs, settle in the fertile Yellow River Valley where their ancestors had lived since the beginning of the Chinese civilization. It was the Jewish Diaspora for the Chinese, it was the Spanish loss to the Moors in the 8th century. 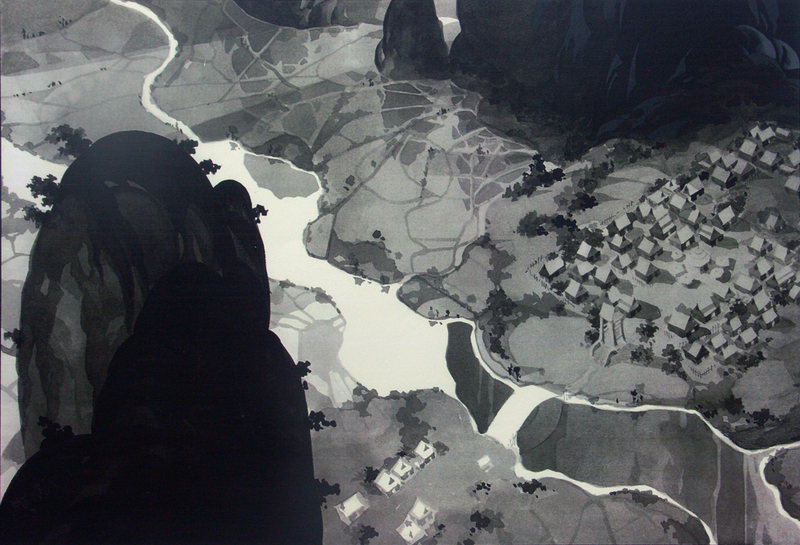 Old China was scattered to the winds. As large numbers of Chinese fled south from the Central Plains and extended well past the Yangtze River; these refugees would mostly settle in the lower part of the modern Jiangsu province and the valleys in Fujian. Liu Yu and Xiao Daocheng 蕭道成, the founders of the Song and the (Southern) Qi dynasties, were descendants of immigrant families from the north (qiaoren 僑人) that had escaped the disturbances in northern. Their followers also were mostly men of humble origin (hanren 寒人) coming from the north. formed its most vital defensive barrier. Politically, the remnants of the Jin court fled to the south, reestablishing their government at Jiankang within present-day Nanjing, Jiangsu. Sima Rui, the prince of Langya (琅琊), was enthroned in 318, posthumously becoming known as Emperor Yuan (the "First Emperor of the Eastern Jin"). The rival northern states, who denied the legitimacy of his succession, proclaimed hostility against this beacon of old China and vowed for its destruction. 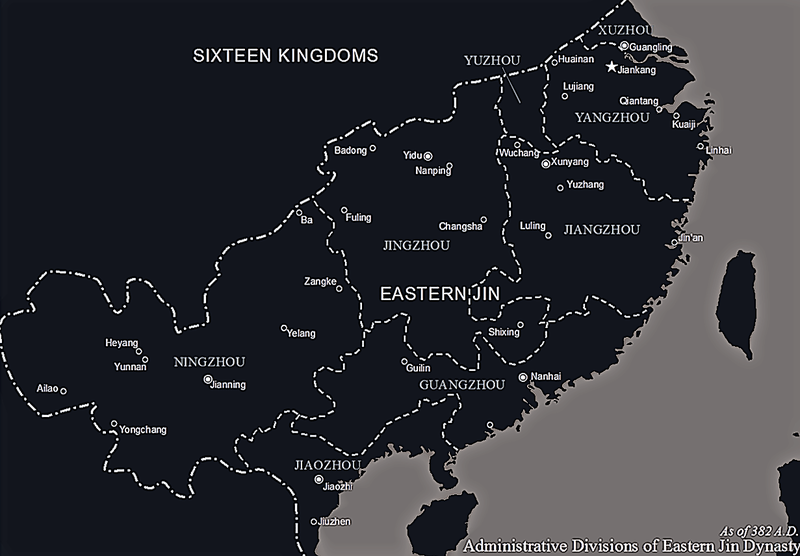 Although the territory of Eastern Jin seemed respectable on the map and would seem as a comparable equivalent to its northern counterpart. Statistically, this comparison could not be more lopsided. In population alone- even with the influx of refugees and new settlers the south only consisted of 10% of the north's population. The loss of the breadbasket heartlands of the Yellow River Valley could not be understated since the modern Hebei- Henan area in the north consisted of roughly 1/6 of the total population of the 4th century world. It was only with this understanding that the power differentials between the north and south become clear. Despite the south's respectable territory which extended well into what is central Vietnam, most of it were an untamed frontier and with very little development. Its landscape consisted of raging rivers and thorny uncut underbrush, there were few roads and virtually not enough cleared arable fields to sustain a large population. It was an awkward society that was uprooted from its ancient hereditary lands and old familiar roles. At first, the southerners were resistant to the invaders from the north. These circumstances obliged the Emperors of Eastern Jin to dependent on both local and refugee gentry clans for matters of executing the will of the court and warfare. Several immigrated gentry clans were very active and they grasped the national affairs: Wang (王) clans from Langya and Taiyuan, Xie (謝) clan from Chenliu (陳留), Huan (桓) clan from Qiao Commandery (譙郡) and Yu (庾) clan from Yingchuan (潁川). The Emperors of Eastern Jin had limited power as their power was increasingly dependent on these musclemen to carry out their wishes. Worse yet for them- the royal Sima clan was not even remotely in a position to take any of these delegated powers back. The local gentry clans were frequently at odds with the immigrants. As such tensions increased, they loomed larger in Jin's domestic politics. Southern Chinese dynasties, being descended from the Han and Jin, prided themselves on being the successors of the Chinese civilization and disdained the Northern dynasties, who they viewed as barbarian usurpers. 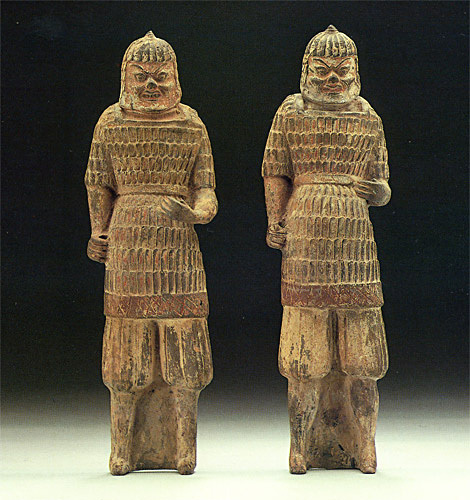 Southern armies continued the military system of Buqu or hereditary soldiers from the Jin Dynasty. 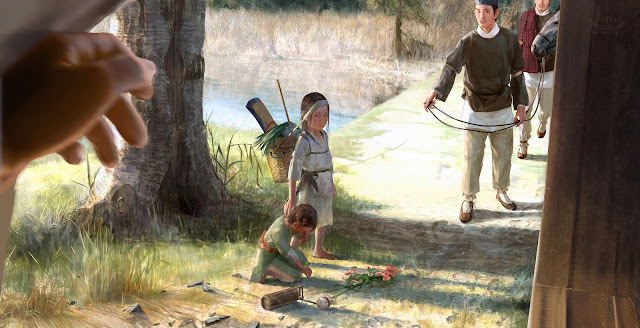 Special "commanderies of immigrants" and "white registers" were created for the massive amount of northern refugees of Han Chinese origin who moved south. The southern Chinese aristocracy was formed from the offspring these migrants- and over time became increasingly honed to become military men. 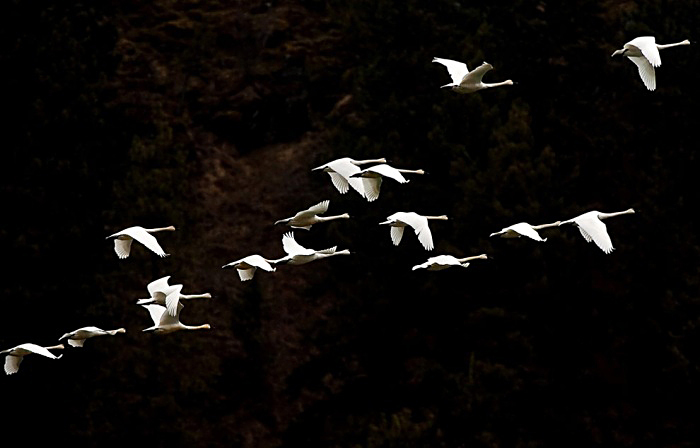 This reliance not only were frequently extended to their relations, but also their fellow travelers as well. The modern city of Nanjing (or known back then as Jiankang) on the immediate southern bank of the Yangtze served as the capital of not only the Eastern Jin dynasty but also that of the Southern dynasties. 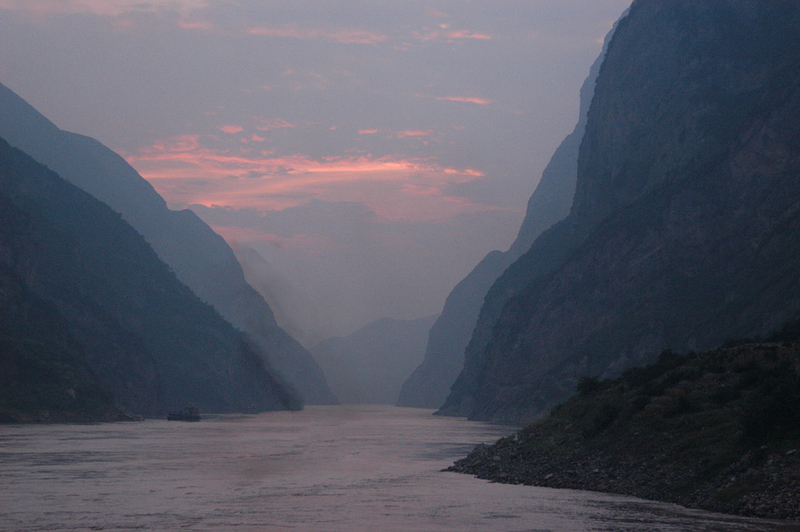 Until the Liang dynasty (the 3rd of the Southern dynasties,) the city did not possess a city wall and only relied on the great river as its main protection. However, after witness nearly half a century worth of usurpers easily marching on the capital and slaughter the ruling family in the palace, the Liang rulers decided to fortify the capital with a wall. During the early days of the massive exodus, the city was a scene of much desperation and suffering. However, with the growing power of aristocratic landowners who are now entrusted and relied upon to play military men and provided for many of the buqu, this meant that the Southern dynasties were very unstable; all sorts of ambitious and capable men who had both military as well as civilian power would rise freely in the southern ranks. Although there was a stated goal of recovering the "lost northern lands", paranoia within the royal family and a constant string of succession disruptions to the throne caused the loss of support among many officials. Military crises—including the rebellions of the generals Wang Dun and Su Jun but also lesser fangzhen (方鎮, "military county") revolts—plagued the Eastern Jin throughout its 104 years of existence. 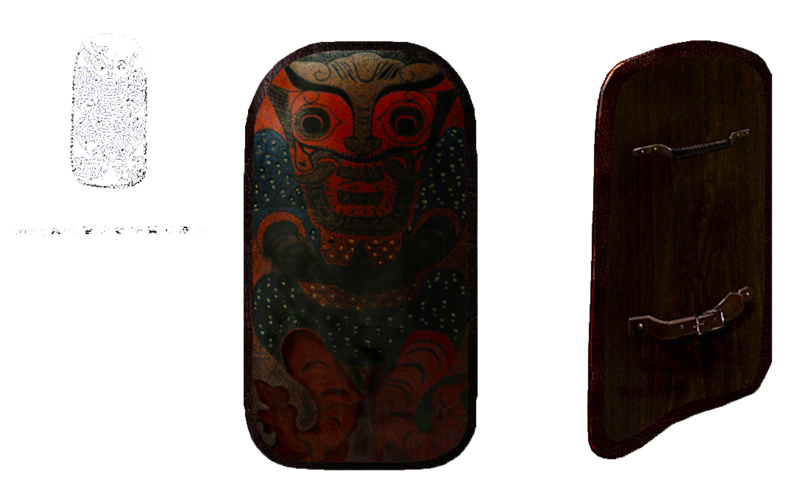 And by the end of the 4th century there was great rivalry between the Xie and Huan clans. 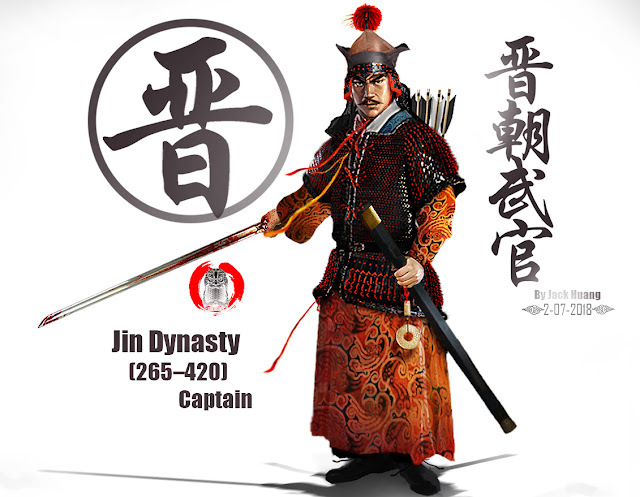 After the fall of the Jin, four dynasties ruled in just two centuries. Essentially this meant these hereditary generals themselves- like Roman generals at the head of a legion could freely take their great army (that's personally loyal to them) and challenge the central authority without much resistance. However, despite the eventual macabre inconvenience for its top 1% of rulers and the inner court, for the time being, the south would do well to have this robust and greatly bloated quantity of willing warriors and ruthlessly capable generals. In the year 381, the entirety of northern China was united under one banner, and the whole of the north swept down upon the beleaguered south. The state of Former Qin, led by the "barbarian" Di (氐) tribesmen (a proto- Tibetan people,) rose rapidly from a strings of rapid victories from the 350s. 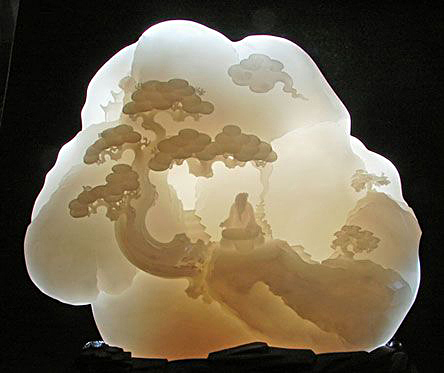 Fu Jiān, nephew of the founder Fu Jiàn, was a vigorous leader of tremendous drive and ambition. In 370 he conquered the nearby state of Former Yan and in 373 seized modern Sichuan and Chongqing from the Jin garrison there. In 379 the strategically important city of Xiangyang, gateway to the Middle Yangtze, fell to Qin. By 381 he had conquered all of north China and was preparing for an invasion of the south. 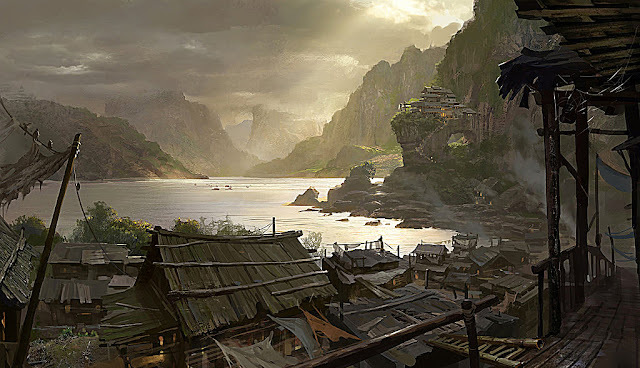 For the first time since the barbarians have spilled into Northern China, there was a paramount overlord who towered above the various groups of bickering tribesman, worse, one who not only have all of the north under his control but was nearly undefeated in battle. In May 383 a Jin army of 100,000 commanded by veteran commander Huan Chong attempted to recover Xiangyang but was driven off by a Qin relief column of 50,000 men. In response, Fu Jiān ordered a total mobilization against Jin: 6 of every 10 able-bodied men were conscripted across the north, and 30,000 elite guards (羽林郎) were gathered. According to various contemporary sources the full might of northern China, from its raw industrial power and its lopsided population was consolidated for this decisive blow that would end all southern resistance. Fields were abandoned and in some cases whole tribes and villages were uprooted for this biblical endeavor. 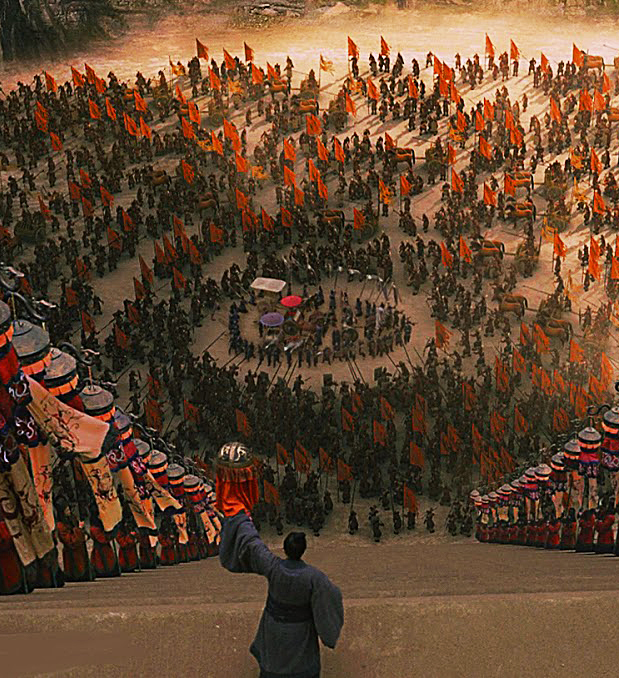 In all, the Qin host boasted at least 870,000 soldiers, others recorded they boasted well over a million. With the core of over 250,000 Di tribesmen, 200,000 skilled Xianbei (Proto-Mongol) Horsemen, and 600,000 of the aforementioned northern Han farmers and levied conscripts. Of his trusted 250,000 Di tribesmen, 30,000 composed his elite guards (羽林郎) called the Yulinwei- or "Feather Forest Guards." 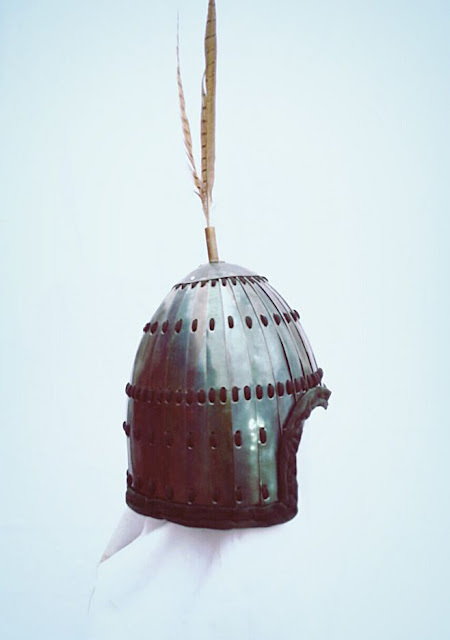 (Feather Forest Guards were an illustrious elite Han dynast division of royal guards, and the name would be resurrected several times in Chinese history, during the Tang the imperial guards were some time referred to as Yulin Guards in the 7th-8th centuries. There was not a Southern army that was even half the size, no, not even a quarter the size against this onslaught. After Huan Chong's failed expedition northward, there was only the 80,000 left to stand against the hammer blow from the north. In August 383 Fu Jiān sent his brother, Fu Rong, the Duke of Yangping with an army of 300,000 as the Qin advance force. Later that month Fu Jiān marched with his army of 270,000 cavalry and 600,000 infantry from Chang'an. Xie An (謝安) (320–385), formally Duke Wenjing of Luling (廬陵文靖公), was the Jin Prime Minister who, despite his lack of military ability, led Jin through the crisis of the invasion by Former Qin. Together with his grand nephew generals Xie Xuan, and nephew Xie Shi and Xie Yan made a daring stand at the Fei River in 383. 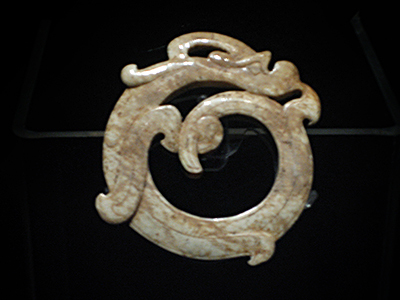 After his death Xie's line became one of the most honored during the subsequent Southern Dynasties. In September Fu Jiān reached Xiangcheng. Separate columns were to push downstream from Sichuan, but the main offensive would occur against the city of Shouchun on the Huai River. Emperor Xiaowu of Eastern Jin hurriedly made preparations for defense. The pressing defense of the Huai River was given to the trusted Xie clan of the Prime Minister Xie An: both Generals Xie Shi (謝石) and Xie Xuan (謝玄) ...and only a paltry 80,000-strong Army (北府兵). Xie An, the patriarch of the Xie clan and Prime Minister oversaw overall strategy, and while he lacked military abilities, he calmed the panicking officials and people by himself acting in a calming manner. Nothing since the legendary Battle of Red Cliff consisted of such dire odds, it was 10 vs 1, 870,000 against the last and the only 80,000 the south could effectively muster at the crossing. Instead it should be said, the Battle of Red Cliff, if anything, has much to envy from the battle that was about to be remembered as one of the most resounding (and least well known) upsets in the totality of Chinese military history. This would be the battle that defined the political landscape of China for the whole century that followed it. As previously established, 6/10 of all men in the north were levied for this massive total invasion, hundreds of different tribes, different vassals all contributed to this massive undertaking. Fu Jiān was not entirely wrong, as a veteran commander with a nearly perfect military record, he was fine having this army fan out after it has breached through the Yangtze and then send them off into smaller units under the command of trusted and proven generals. 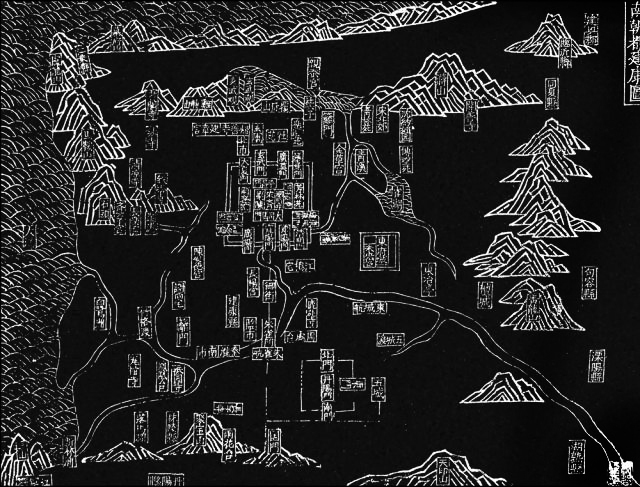 In October 383 the Former Qin forces under Fu Jian's brother Fu Rong captured the important Jin city of Shouyang (壽陽, in modern Lu'an, Anhui). Fu Jiān, seeing the possibility of achieving a quick victory, left his main force at Xiangcheng and led 8000 light cavalry to rendezvous with Fu Rong. Here is where Fu Jiān made his first grave mistake. Fu Jiān sent a captured Jin official named Zhu Xu (朱序) as a messenger to try to persuade Xie Shi to surrender. But instead, the loyal Zhu tipped Xie Shi to the fact that the entire Former Qin force had not yet arrived, and that he should try to defeat the advance Former Qin forces to cripple the Former Qin's campaign. 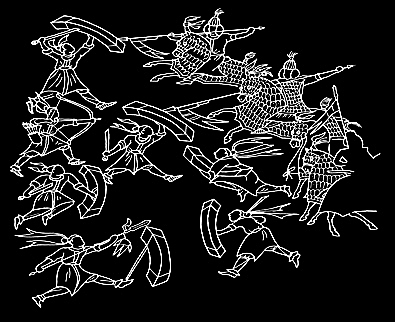 At Zhu's suggestion, Xie Xuan led 5000 elite troops to engage the advance Former Qin force and scored a devastating victory, killing 15,000 men. 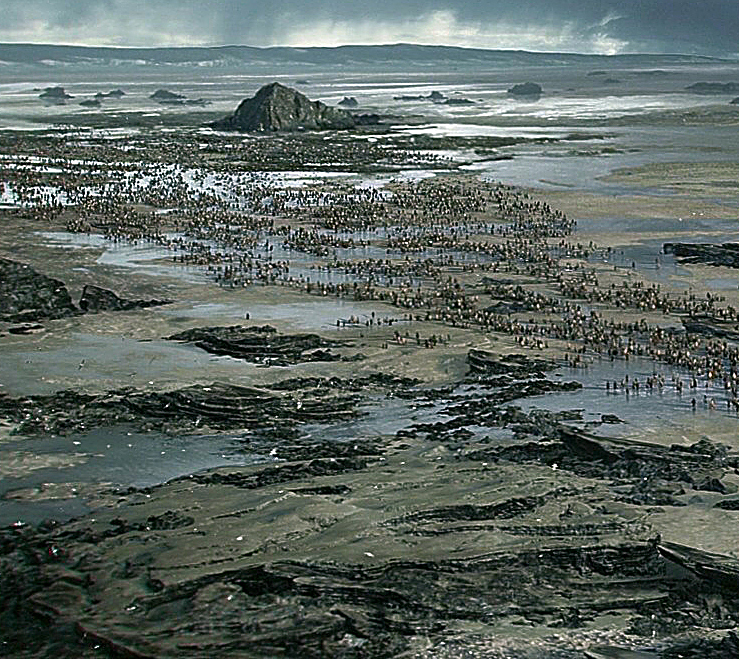 Afterwards, Jin troops were lined up in a wide thin formation to give the illusion that the Jin forces could match Former Qin's manpower. 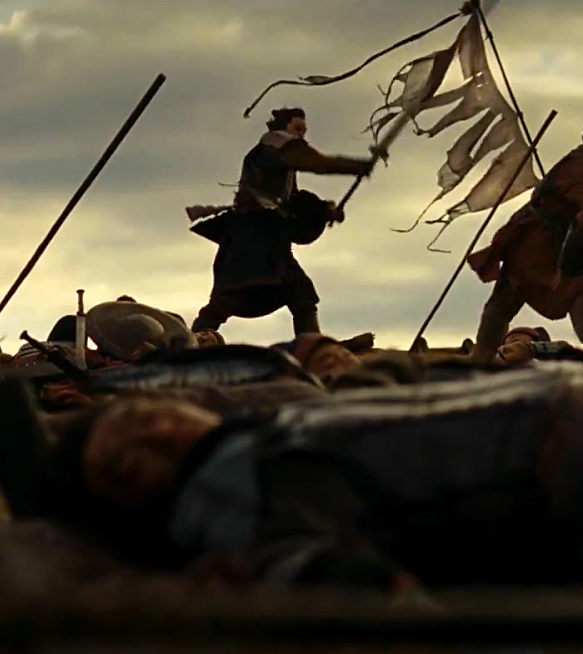 Because of this first defeat and the bloating effect of Jin's formation, Fu Jiān would overestimate the amount of Jin forces in the area, as such he became cautious as he expected there would be much more resistance to his downward thrust. 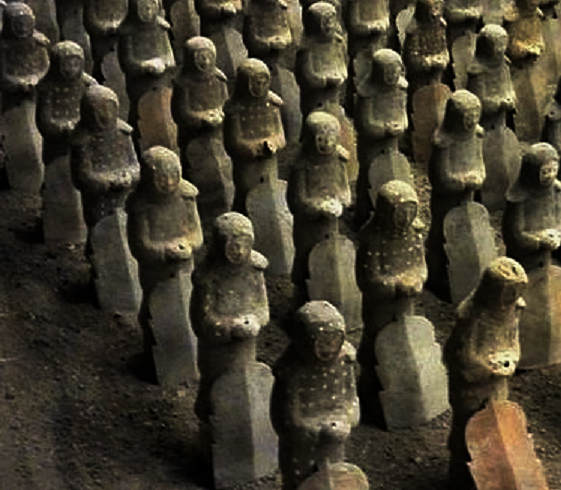 When the Qin army arrived at the site of the Qin defeat, all they would see were corpses strewned about, the Jin army had disappeared. This cautious doubt which stemmed from the rumors of Qin's initial defeat- and the ensuing slowing down of the Qin army's momentum was vital to what was about to come next. For Xie Shi and Xie Xuan were counting on the appearance of things. The way things looked often were more powerful and influential than the way things actually are. And the Jin commanders- being veterans themselves of hundreds of battles knew full well of what things looked like to inexperienced men in huge numbers. By November 383 the Former Qin troops set up camp west of the Fei River. The Jin forces stopped east of the Fei and could not advance beyond. It should be pointed out that a river crossing battle was something that no commanders of any period wanted. 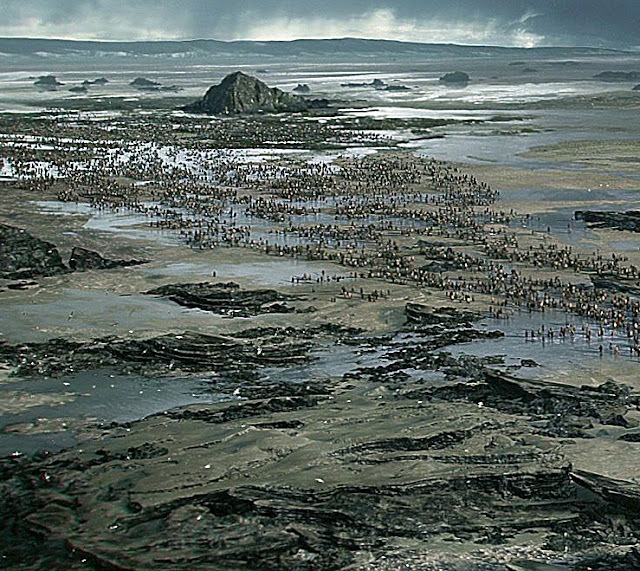 Not only would the soldiers crossing the river be slowed down by the turbulent waters, leading to disrupted formations, inability to properly defend oneself against enemy arrows and crossbow fire, but there was also the very likely real possibility that one would drown because of the heavy weight of his armor in the water. Cavalry's speed and impact were rendered useless, missile troops were not able to fan out and deliver volleys. Command could not be properly given in the chaos, and even if the first row of soldiers managed to pull themselves out of the freezing water, half drenched, they were still expected to fight a fully armored, well eaten and warm foe completely unaffected by the demoralizing fatigue. In short- it was a move that no commander on either side wanted to be the first to make. Xie Xuan thus sent a messenger to Fu Rong, suggesting that the Former Qin forces retreat slightly backwards to allow Jin troops to cross the Fei River so that the two armies could properly engage in battle. Most Former Qin generals opposed that plan, since maneuvering such a large army in that manner was too complicated for the benefits that might be obtained, especially with so many poorly trained troops. 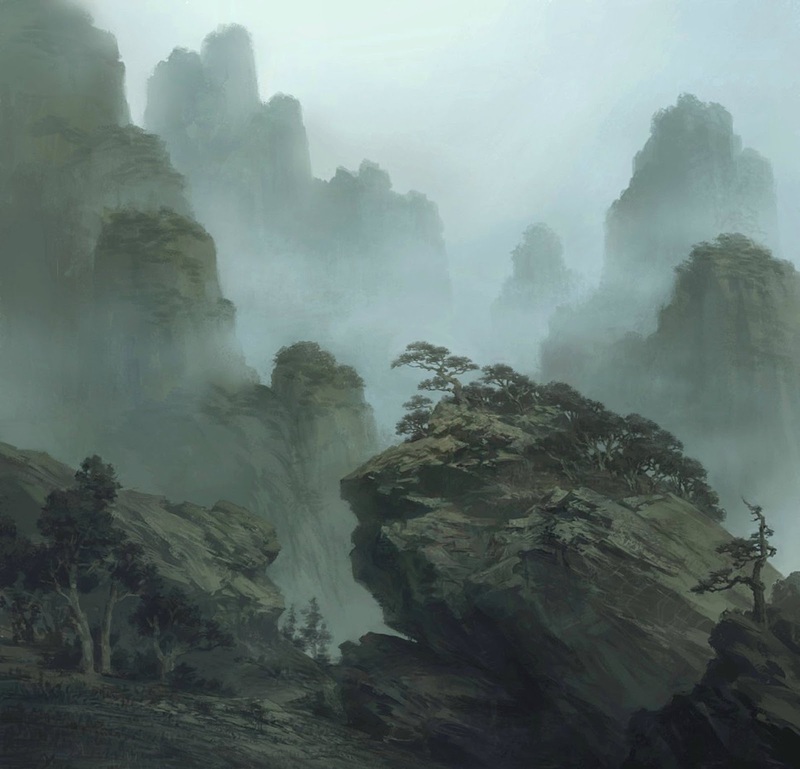 Fu Jiān overruled them, however, as he was planning to attack the Jin army as it was crossing the river and seize a tactical advantage, as the Jin crossing by then would be split in two. Fu Jiān soon ordered Fú Rong and the other Qin officers to attack halfway during the Jin crossing, thereby cutting the Jin army in half. Fu Rong agreed, and pulled out for tactical re-positioning. A move that in the eyes of completely untrained troops would look no different than...a retreat. All each could see was but having their large horizontal defensive lines turned into a dozen snakes of columns marching out westward, where the man at the front has no idea of what's happening to the tail still at the riverbanks, where those stationed there have not even began to move back. Now is the time we get to know the men the south would bewilderingly entrust to stand tall in this conflict. 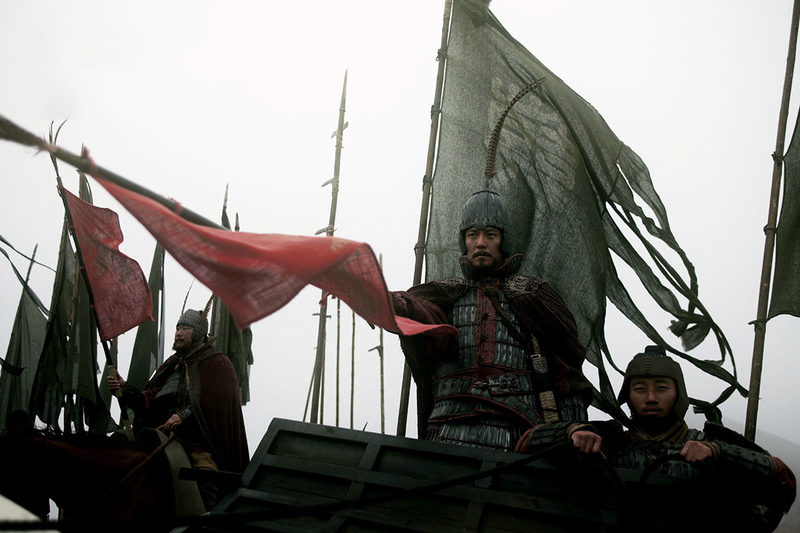 For the men that stood by the Fei River banks were nothing less than the best of the totality of the Jin Empire. On the Jin banks stood not just any collection of troops but 80,000 of the most elite of Beifu Corps, 北府兵- or the Beifu Guard Army. war fighting as a cohesive collective. Lit. 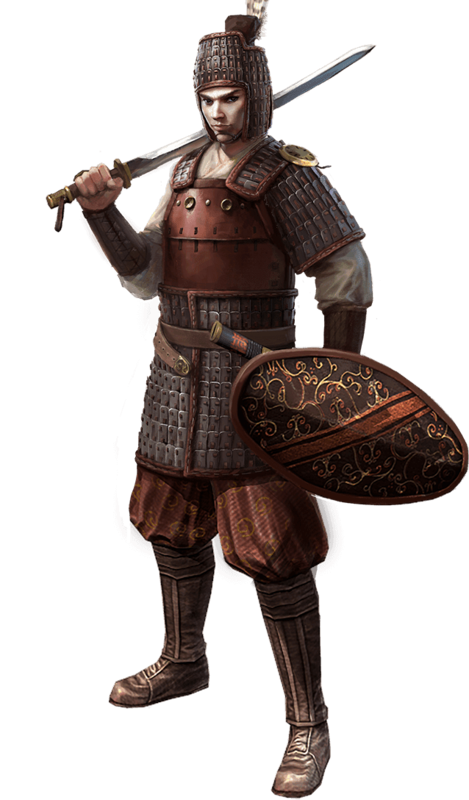 "Soldiers of the Northern Headquarter" (or Northern Manor Troops) were the best soldiers the south raised in Jin's long resistance against northern aggression. Raised during the reign of Xiaowu Emperor of Jin, they were largely descended from refugees parents or were themselves refugees from the endless wars from the north. A whole class of semi- professional Jin military caste were made of these homeless and landless men and they were deployed whenever there was any fighting along the Jin's northern frontiers. The best and bravest of those men were drafted into the professional fighting force stationed at 北府 the "Northern Headquarter," hence the Beifu Troops were born. 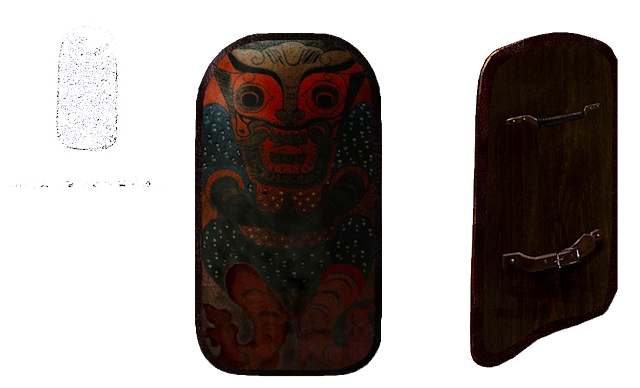 Each is also provided with a lacquered fighting shield. As the nearly 1 million northerners began to confusingly pull out from their entrenched position along their side of the riverbank, a process that would take hours to rearrange- specially considering the language barrier and general inexperience of their troops, the whole of the southern army did the unthinkable and launched a headlong assault. The Beifu army- who themeves have long been veterans knew well what situations beyond a soldier's own perspective must have looked like to an average recruit and have been counting exactly on this kind of moment. Despite the overwhelming numbers of the northern army, to the average layman- in this case most likely a fresh recruit who was a farmer drafted into this endeavor and had never seen a real battle before in his life. He simply has no deep grasp of a battle and what each aspect of it meant. From his limited perspective, all he had knew was that several days ago the south had scored a major victory despite their smaller numbers, now all he had heard was that the commanders for some inexplicable purpose had order the whole million- men army to all...move miles away backwards. Even if no one told him, in his head he must have thought that the strange occurrence sure looked like a retreat. So as to say, despite the great numbers of the northern army, most of them did not know they had strength, where as nearly each of the southern soldiers knew well of their own strength and the capability of the men fighting next to him. 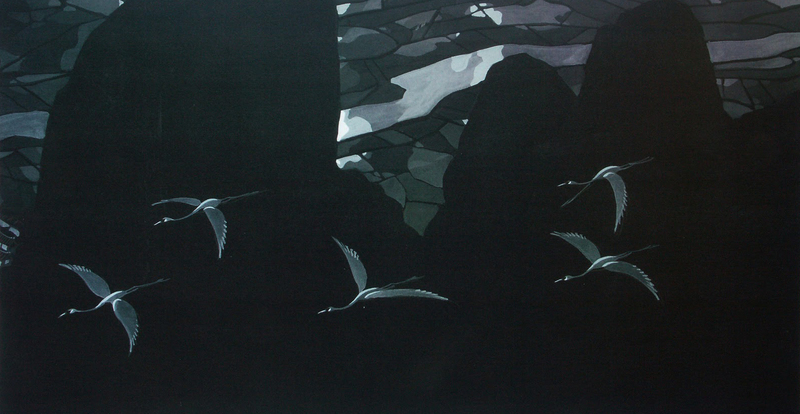 Despite being outnumbered 10 to 1, the Beifu charged forward through the cold shallows of the river. What happened next was like a panicking packed herd of animals being chased by a small band of butchers. From the perspective of the northern soldiers, as they began their confused hour long march back, seeing their lines broken and formation loosen, to see large horizontal defensive lines turning into a dozen snakes of marching columns, where the man at the front has no idea of what's happening at the riverbanks, where those stationed there have not even moved yet, suddenly there was a large cry from their back from men on horsebacks. All one could hear from those riders was that "Qin army has been defeated!" from the rider's mouths. It was no accident, it was no simple rumor mongering either. Even before the battle had began, the Jin had secretly ferried bribes to the different sub-officers of the Qin army and with the supervision of the loyal Jin double agent Zhu Xu (朱序), (the same character who forewarned about the Qin strength to Xie Shi) managed to bribe enough of them to spring this trap at this precise moment. Suddenly, confusion wracked the densely packed but loosely formation-ed northern soldiers. The Jin's tactic of creating a deadly reputation earlier in ambush and bribery now paid off. Many soldiers in the Former Qin army began to wonder why a sudden retreat order was given. Xie Xuan and generals Xie Yan (謝琰) and Huan Yi (桓伊) immediately crossed the river and began to cut through the poorly formationed defenders with savage butchery. 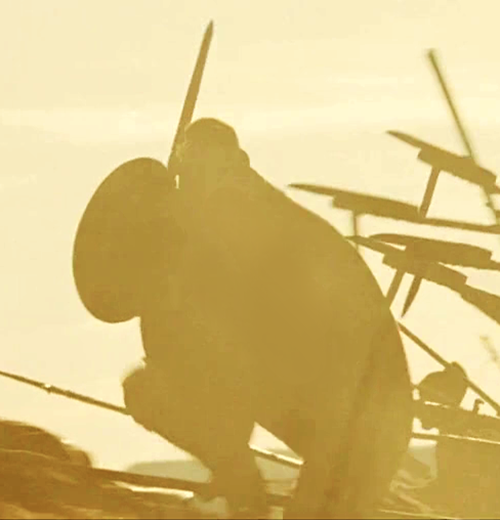 But all the rank and file northern soldier saw at the furthest end of the lines marching back was their own soldiers being cut down at the river banks and the words, "Qin army has been defeated" ringing in his ears. The soldiers further from the river bank saw their comrades moving away from what they thought was the battlefield. Not knowing it was a retreat by design, they assumed something had gone wrong and the retreat was genuine. 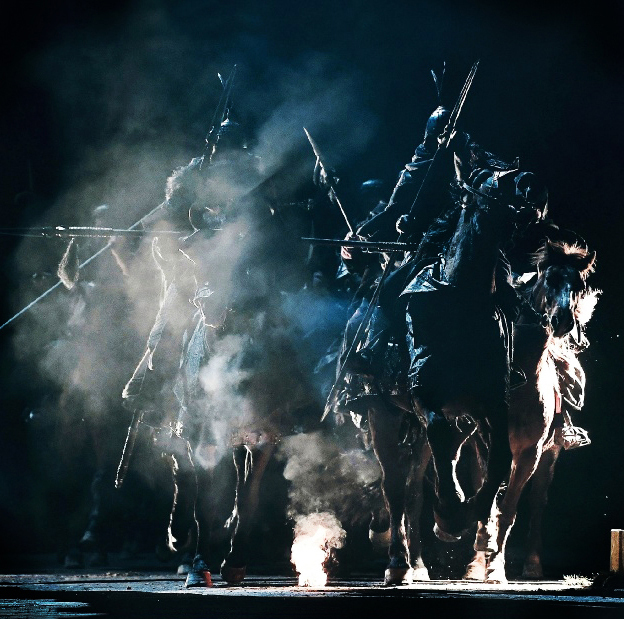 The lack of experience and discipline within the Qin ranks would be their undoing; and in this case, their numbers would prove a liability. 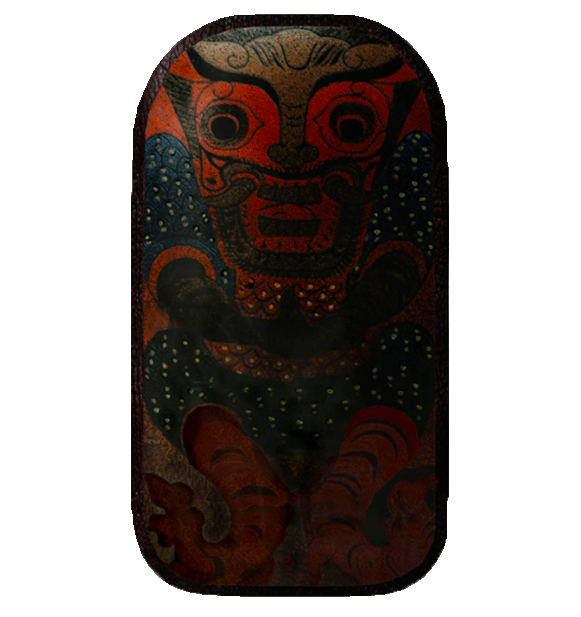 The "Qin is defeated" rumor spread like wildfire, and chaos soon followed. The northerners, who had only been isolated vassals to the Qin regime now began to only look after themselves and only looked to their local commanders as the rest of their comrades were slaughtered in the thousands. 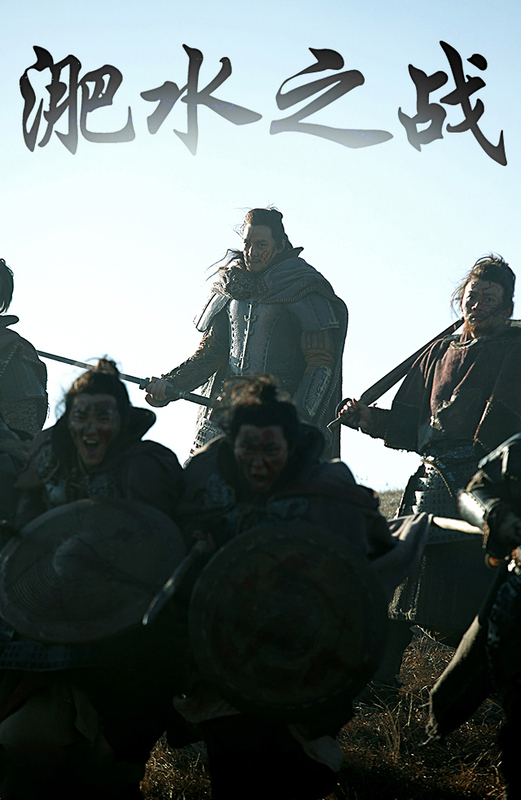 Whatever cohesion soon began to splinter and there was paralysis throughout the whole of the Former Qin army. 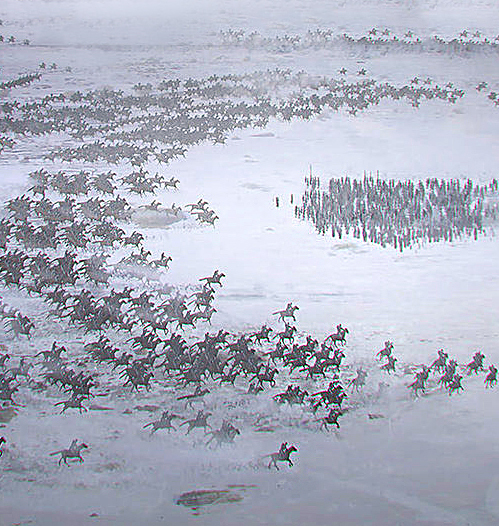 100,000 soon laid dead, then- 200,000 (1/10 of a million then 1/5 of one) as the Beifu cut through the northerners with murderous fury. Fu Rong- who was himself one of the few experienced Qin commanders who knew the true strength of his army and still saw the chance to turn the battle around personally tried to halt the retreat and rally his troops, but his horse suddenly fell and he was killed by advancing Jin troops. All form of Qin resistance crumbled then and it soon became a mad slaughter that lasted hours. Legend has it that, as Fu Jiān escaped, he screamed to the sky, "天亡我也！", which means "Heaven has annihilated me!" After hours of slaughter through the blood drenched fields, the Jin emerged triumphant. The whole of the northern army had been resoudedly beaten, most of its generals had been slaughtered, the horizon near the Fei river was littered with northern dead. And Fu Jian was barely able to escape with a small bloodied retinue. 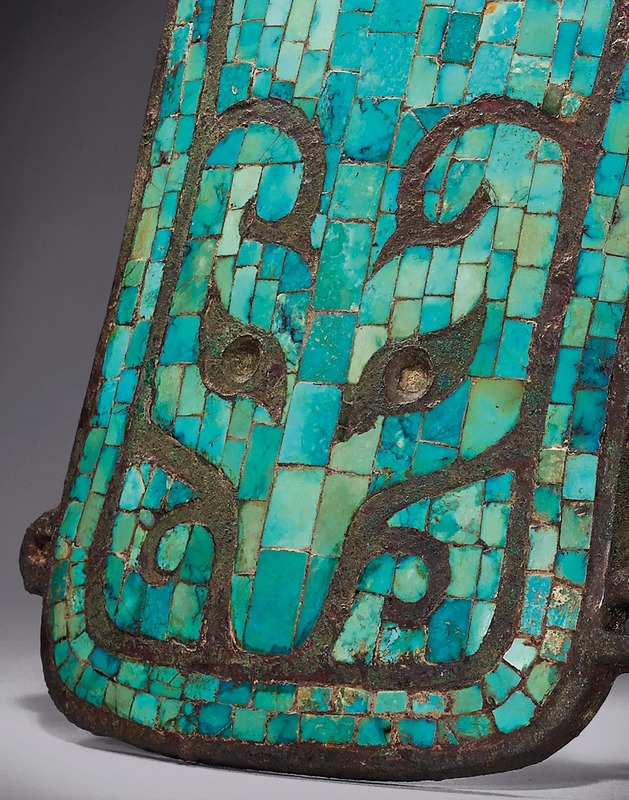 The victorious Jin generals noticed the chaotic footprints and wheel marks, and declared that the Former Qin army was not in an organized retreat but was indeed in total disarray. 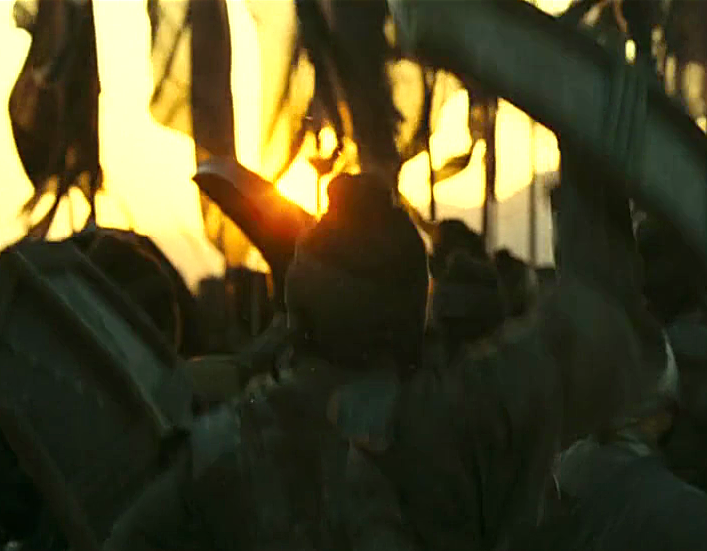 The Jin soldiers continued their pursuit, and the entire Former Qin force collapsed. A large amount of food and supplies were abandoned as Former Qin soldiers tried to escape with their lives. This battle is famous not only because of its significance in history, but also because it demonstrated the importances of troop training, morale, loyalty and organized battle command. In the ensuing retreat and pursuit, an estimated 70%-80% of the Former Qin troops, a staggering total of 700,000 soldiers died from combat, starvation and exposure to the elements while the Beifu Army only sustained negligible losses. 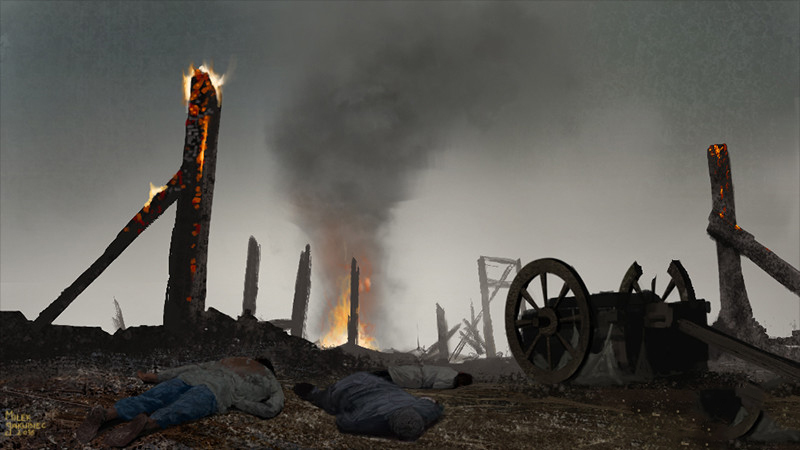 Nearly a million perished along the Fei River, covering the whole battlefield with the dead. 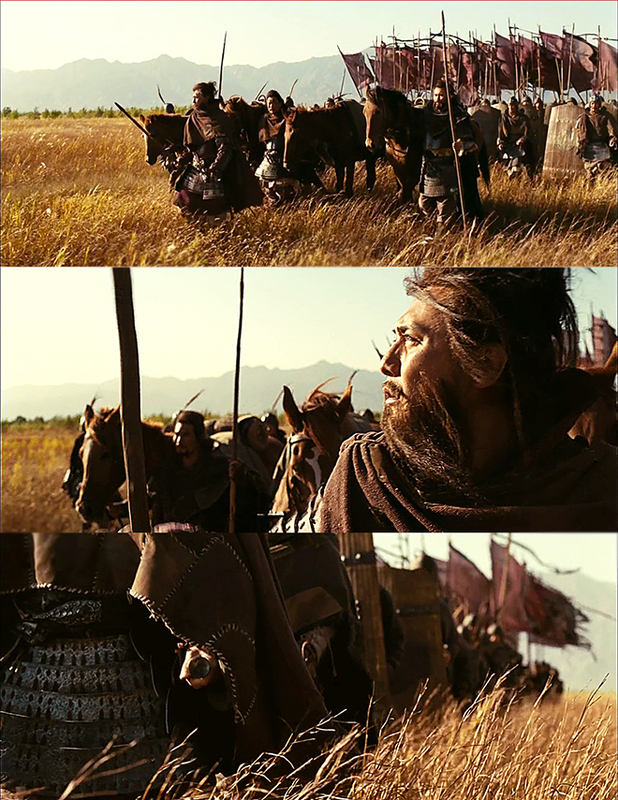 But it was only with consideration of what happened next do we see the era changing effect of this battle, for this battle not only ended Former Qin's army, but ended his sitting ruling dynasty, his Kingdom, and his whole race as well. 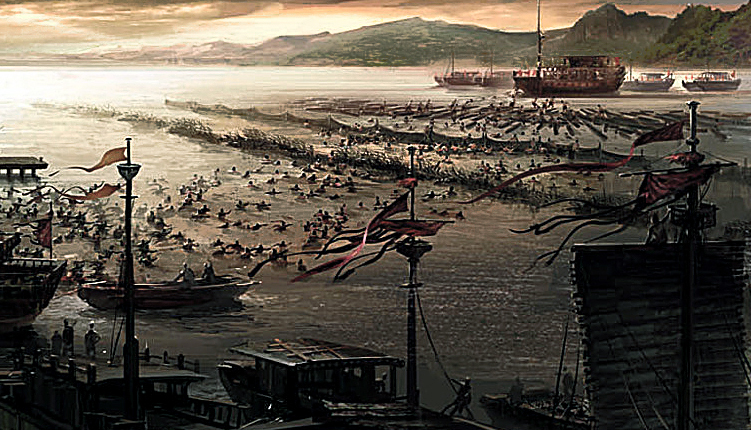 The Jin army defeated the overwhelming Former Qin forces with only minor casualties. The Jin had routed and killed most of the escaping soldiers of the Former Qin army, greatly weakening the pool of troops from which the Former Qin could draw. Fu Jiān's forces were not able to be reorganized, even after he eventually withdrew to Luoyang under the protection of his general Murong Chui, whose 30,000-man army was one of the few that did not collapse. Meanwhile, northern agrarian rebellions arose after news of the defeat at Fei River. Murong Chui used this opportunity to ask Fu Jiān to let him try to lead an army to pressure the rebels in the eastern empire back into submission. Instead, Murong Chui himself rebelled in early 384, which started a chain reaction of many Xianbei and Qiang uprisings. 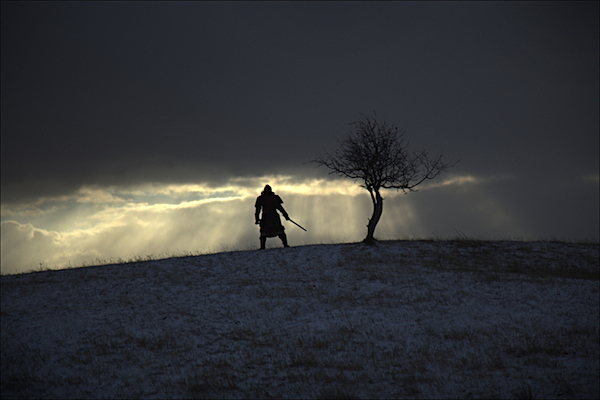 Former Qin found itself friendless and trapped by traitors in the north. The Former Qin capital Chang'an would fall in 385 to the Xianbei forces of Western Yan, and Fu Jiān himself would flee back to southern Gansu to find new recruits from his own Di people. 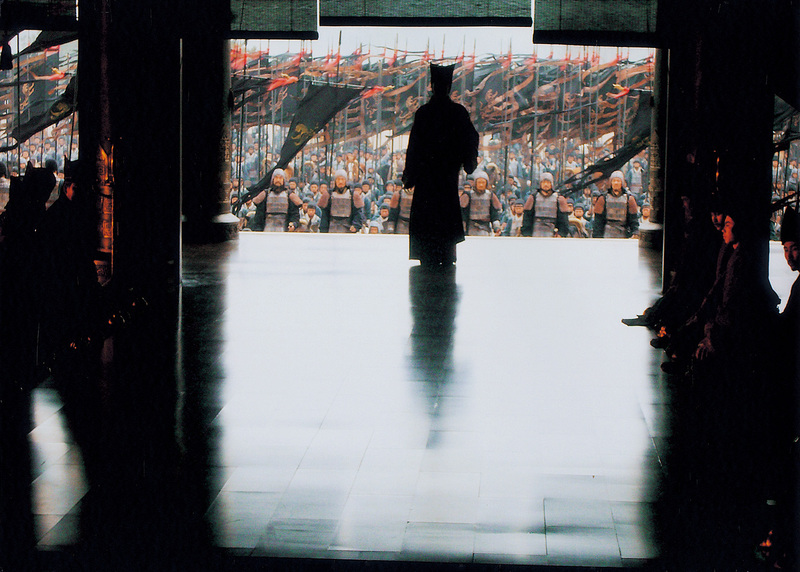 While on his way, Fu Jian was captured the hands of his former general Yao Chang, the founder of Later Qin and hanged. His race would follow suit. 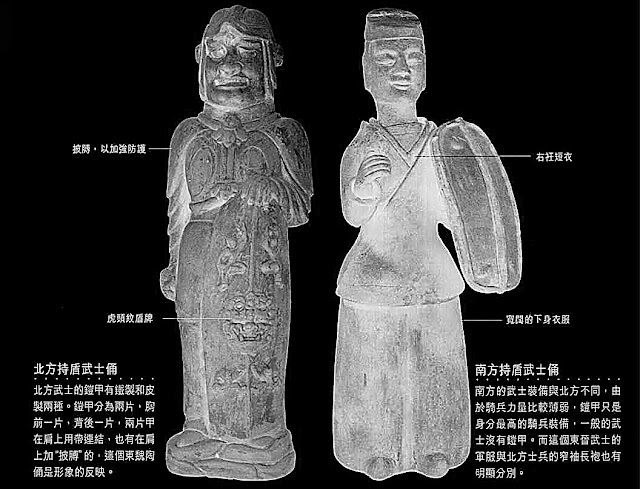 A full century after the battle of Fei River, the Di people would have been assimilated to the ways of the nearby cultures, and ultimately became nearly indistinguishable from the Xianbe and the Han of the region. 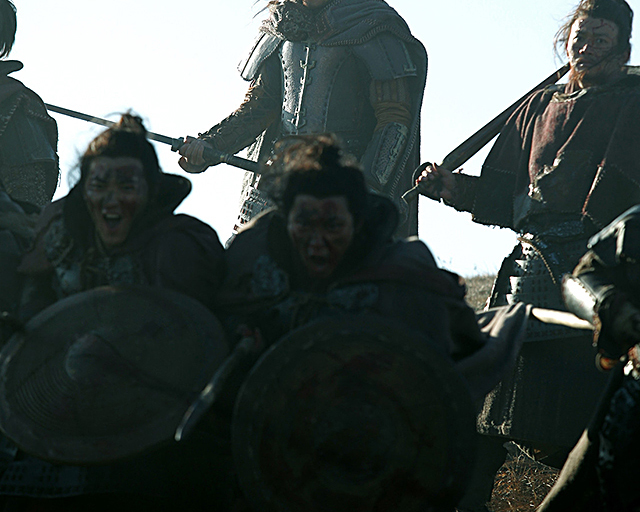 One battle had reverted the north into a patchwork of bickering barbarians warlordons. What had been intended as the deathblow to the south had instead had utterly scattered the north to the winds. In addition, after the battle, Jin forces advanced to the Yellow River and recovered much of the Chinese heartland all the way along the southern banks of the Yellow River, virtually doubling the size of the empire by 40%. Finally, the battle of Fei River was also significant in that it not only saved the South but also ensured Southern China would remain independent until 589 AD, when both the North and South were united again under the Sui Dynasty. It was the battle that preserved southern sovereignty for 200 years. The Eastern Jin recovered much land in the aftermath of the 383 invasion. Unfortunately for the victorious Jin regime, would also ironically proved to be its painful downfall. Like any heated bickering groups in the face of a larger external threat, after such great collective was removed, they immediately fell back to factionalism and division. Remember the high number of militarized clans in the south? After the Battle of Fei River, these highly competent, and also highly ambitious clans would turn their swords against each other. In only one generation after the Battle of Fei River, the short-lived cooperation between the very Beifu generals that led the battle and delivered the realm in victory would turn their violence against the ruling clan itself. 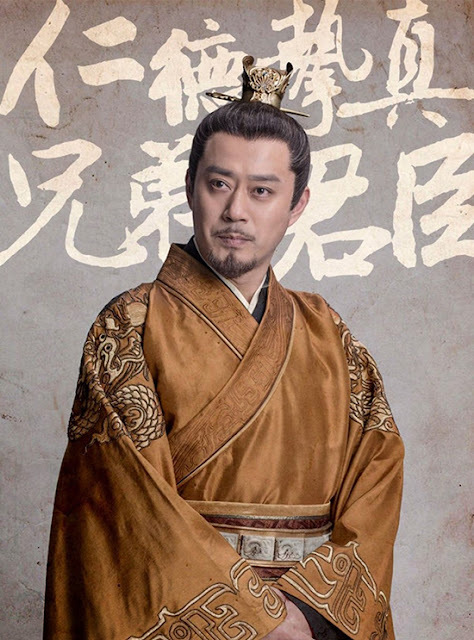 Huan Xuan, the nephew of the veteran Beifu general Huan Chong and son of general Huan Wen would turn his sword against the Jin imperial clan and usurp the throne. Though his brief reign would be eventually put down, another even more ambitious general of the Beifu Army named Liu Yu would emulate his example and one day totally usurp the Jin dynasty- creating his own dynasty: the Liu Song in its place, thus officially initiating the Southern Dynasties.